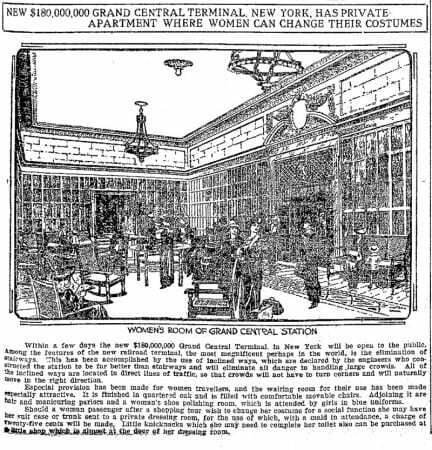 Especial provision has been made for women travellers, and the waiting room for their use has been made especially attractive. It is finished in quartered oak and is filled with comfortable movable chairs. Adjoining it are hair and manicuring parlors and a woman’s shoe polishing room, which is attended by girls in blue uniforms. 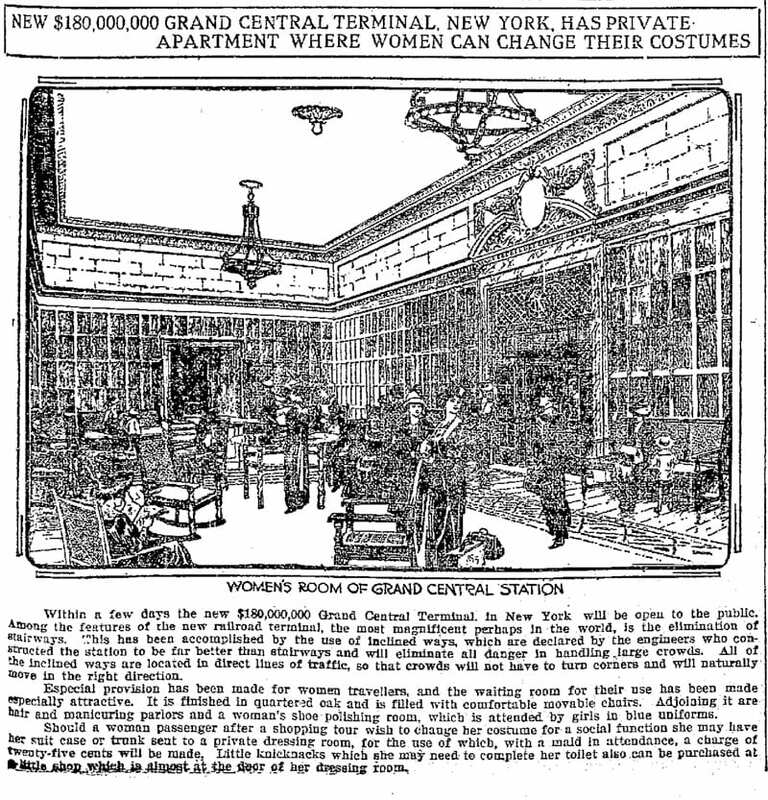 Should a woman passenger after a shopping tour wish to change her costume for a social function she may have her suit case or trunk sent to a private dressing room, for the use of which, with a maid in attendance, a charge of twenty-five cents will be made. Little knicknacks which she may need to complete her toilet also can be purchased at a little shop which is almost at the door of her dressing room.